Wondering what happens after the coaching training program? Let’s take a gander with a case study. 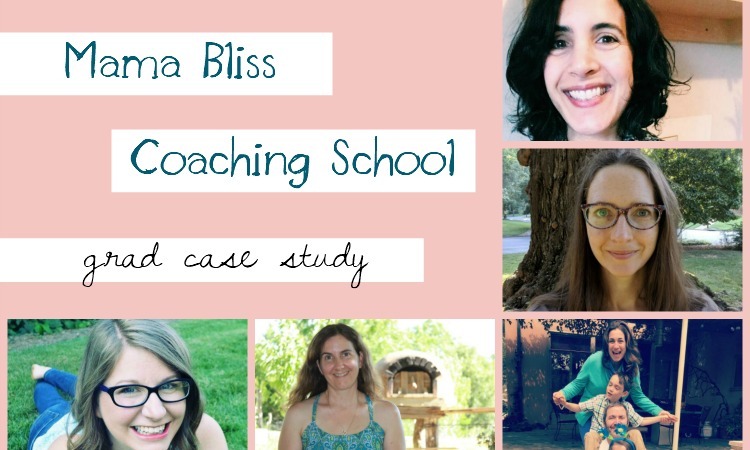 I invited five of the graduates from Mama Bliss Coaching School to make a special guest appearance on the blog today to share with you all what life after coaching training might look like. I can’t help but explode with love and pride for many of these mamas I’ve known now for many years, having coached some of them way back in the day, watched as they shared their fears, and then the exhilaration, of putting on their coaching hats for, some of them, the very first time. If you see part of your story in theirs, do consider hoping on a call with me to discuss if you’re up for one on one coaching training with me to become a Mama Bliss Coach as well. 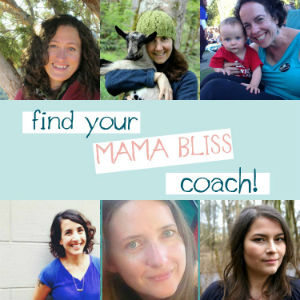 Ellen was part of the Fall 2014 round of Mama Bliss Coaching School. Before signing up she was working as a speech-language pathologist for a Children’s Hospital in New Jersey. She just had her second child and moved across the country during her maternity leave (after being displaced by Hurricane Sandy!) and found herself with a blank page thinking about what her next move was life and career-wise. 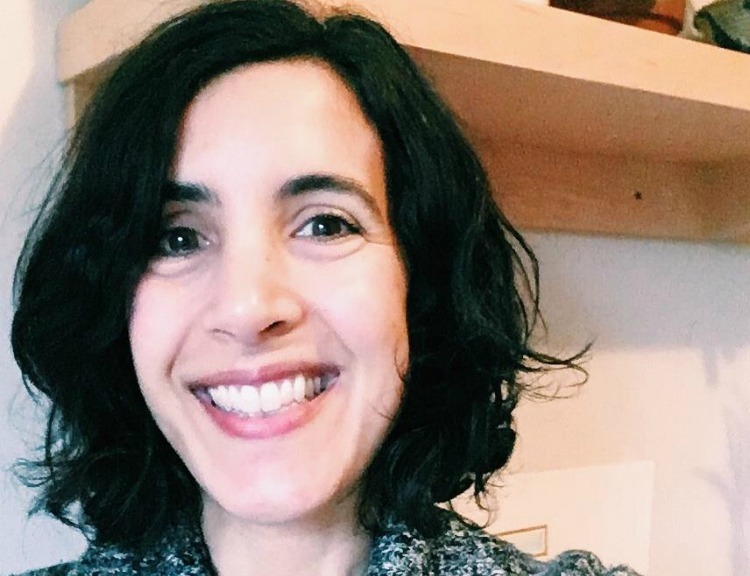 Today, she lives in Ojai, CA with her 7.5 and 5 year old kids where she does quite a bit of writing and behind the scenes things at her home. She loves creating life on her terms since freedom was a big value that came up for her in in her Mama Bliss Coach training. 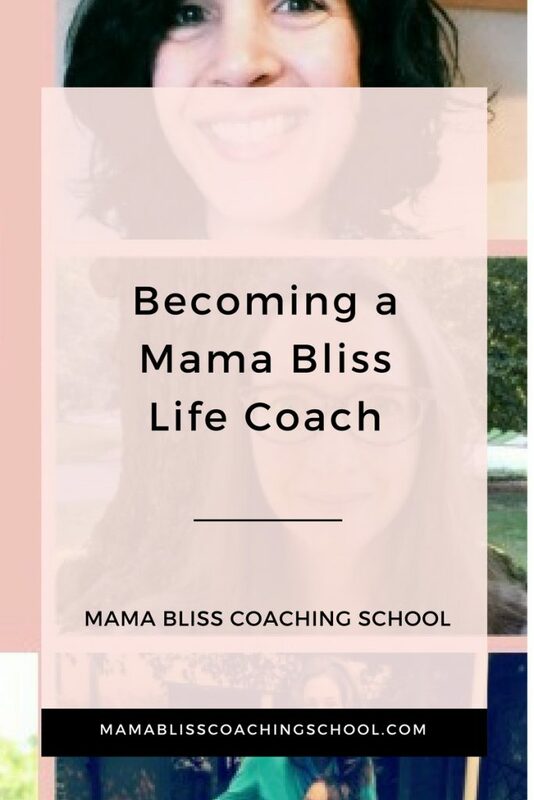 Why did you sign up for Mama Bliss Coaching School? I worked with Kathy as my coach. I was in a place of transition and seeking a way to bring more creativity to moms. What have you been up to since you completed the program? 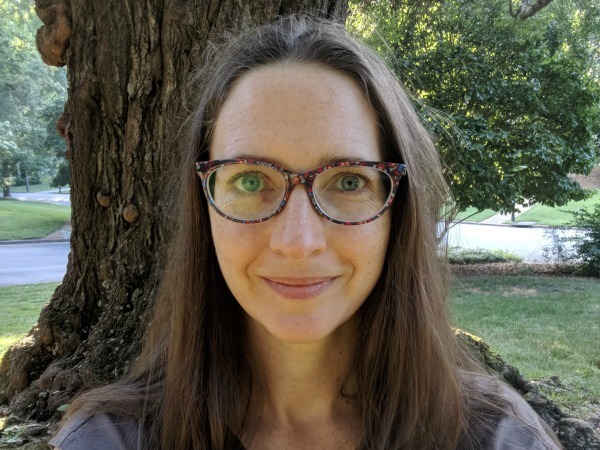 I started my private speech therapy practice where I also did some coaching work and writing circles/Mama Bliss retreats for moms at a local non-profit – the Nan Tolbert Nurturing Center. In the last year, I felt the call to move from just me as a practice to starting an early intervention program with an occupational therapist where we serve children 0 – 3. One thing that makes our program unique is the social-emotional piece we bring to our programming and capacity to do group work. What skills have you picked up in Mama Bliss Coaching School that you are using today in surprising ways? Morning Routines! Simplicity. Thinking about family/personal values. Also filling up with good nutrition. I perform evaluations, see some clients for therapy, supervise newer therapists. Often I am making connections and collaborating with other professionals in the early childhood community. I’m currently facilitating a parent class called It Takes Two to Talk and it is one of my favorite things to do – teach parents as a speech-language pathologist working with young children. What is one way someone can work with you one on one these days? Is there a particular mama you like to work with or a niche? I work with moms who have children with special needs. I also love moms who are interested in unearthing their creative talents, specifically with writing personal stories. 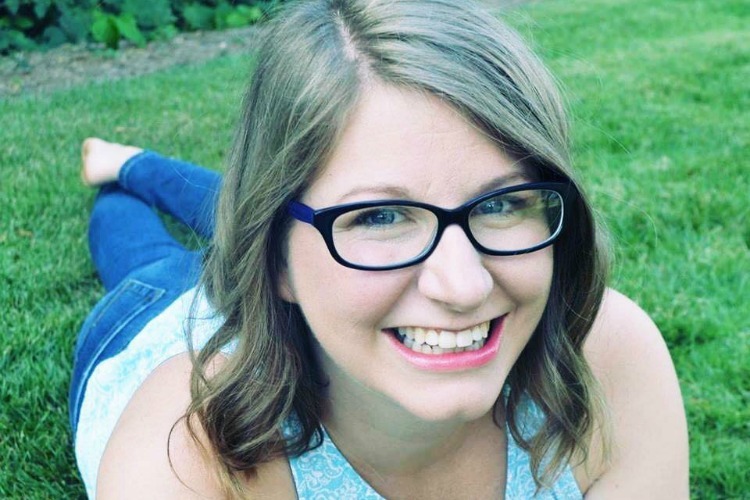 Heather breezed through the program during the Spring 2015 round. She lives in Decatur, Georgia, which is part of Atlanta, with her girls who are now 10 and 6. She became interested in becoming a life coach while staying at home with her younger daughter for it seemed like a great fit for her and her values. She saw that coaching would allow her to use her gifts of teaching and nurturing as well as her interest in personal growth to support other moms create their lives with purpose and intention and live in alignment with their values. So she enrolled in Mama Bliss Coaching School to find the tools to support her in doing just that. What was your pre-Mama Bliss Coaching School life situation/work? I had been teaching high school English as a Second Language for a number of years, but I also stayed home with both of my daughters for a while after they were born. 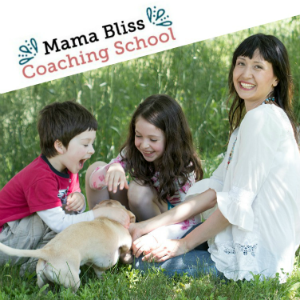 It was while I was home with my younger daughter that I became aware of Mama Bliss Coaching School. I was expecting to have to return to teaching, but I really wanted to work from home and do something different. I am so thankful I did Mama Bliss Coaching School! I gained confidence in my ability to be a coach, and I also have completed many wonderful goals. I have supported mamas through one-on-one and group coaching. I also created my podcast, called The Happiness Mama Podcast, as another way to support other moms in creating their happiest lives. I have also been loving learning about and using essential oils to support my family’s wellness and happiness. Do you have a client success story you’d like to share? I’m in transition right now, just having finished up my ten years of teaching. My focus has recently been more on building my EO’s business… This summer the girls have been home from school, so the schedule has been different for that reason as well. One thing that doesn’t change is that I start my day with a morning routine. I meditate and do journaling, which involves gratitude, reflection, setting intentions for the day, and affirmations. I have a small number of one-on-one coaching spots available. I love supporting moms in working on a specific bigger goal and/or smaller steps of living more intentionally into their values every day. Learn more about those coveted spots here at Heather’s site and be sure to take a listen to her beautiful, happiness-drenched podcast. Love what Teri Page is taking her Mama Bliss Coaching School skills. She was part of the Fall 2016 session when she was a busy bee blogging over at Homestead Honey. She currently lives in rural NE Missouri, but is on the brink of moving to Vermont. 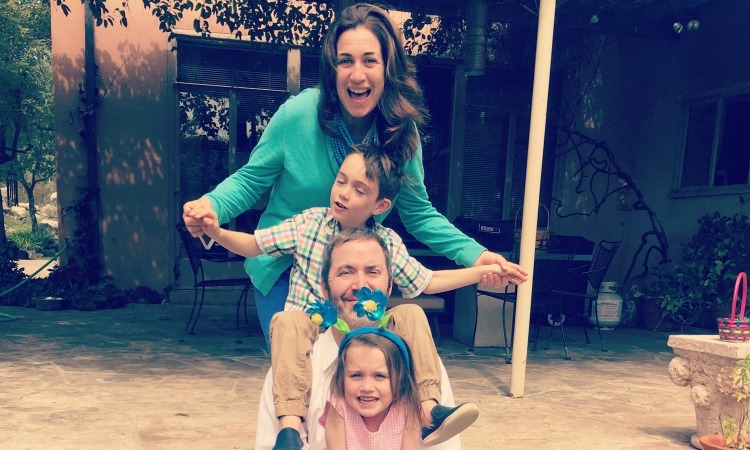 Her kids are 10 and 7 years old, and what she loves about working from home is that she’s been able to spend so much time with them and still do what she loves. It’s been a a great win-win for her and her family , even though it can be challenging to find designated work time. 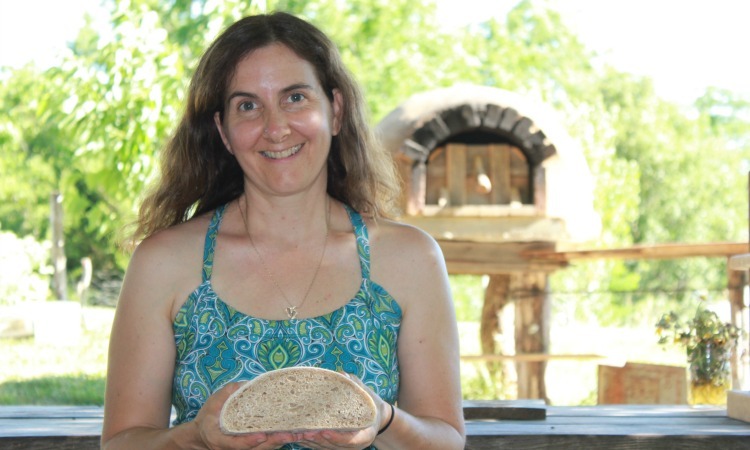 Since completing the coaching training program she supports women in their homesteading journey with one on one coaching and group programs. She also continues to share resources, information, and how-tos on gardening, homesteading, and off grid living on her blog. And she is eagerly awaiting the publication of Family Homesteading, which is now available for pre-order. I’ve led groups of women in really wonderful group programs, and also worked one on one with a few incredible clients, one of whom decided to leave her urban lifestyle and travel the country to find a new community where she could dive into a homesteading life! The biggest surprise to me is how often I run into friends and colleagues that just need someone ask them, “What is your vision for your life? What values do you want to put front and center?” This sort of inquiry often leads to deep conversation and wonderful insights, for me and the person on the receiving end! I wish there was a typical work day, but right now I’m balancing homesteading, homeschooling, and working from home. Every day is beautifully chaotic! I love to work one-on-one with clients, and typically do this over the phone in four sessions. However, I’m open to creative arrangements. Recently I connected via phone with a client for an “opening” and “closing” consultation, and then we checked in via email for a month, and this worked really well! I am passionate about the homesteading lifestyle, and love to work with women who are looking to embrace this lifestyle as well. I also love working with women around entrepreneurship and small business. And finally, I enjoy working with women who are in transition – looking for a new career, contemplating moving, etc. Since I have been through a lot of transition in my life, I have developed a lot of skill in this area, and enjoy sharing my toolkit. I’m passionate about musical theater, and love performing – I just finished The Addams Family Musical. It’s a big time commitment, but really fills my cup of creativity. I think it’s so important for mamas to have something in their life that they passionately pursue. Check out Teri’s blog to learn more about her coaching offerings, her latest musicals and her soon to be released book over at Homestead Honey. She had worked with me for a year through my online Simplicity Parenting workshops and Mama Bliss coaching. She knew she wanted to work with moms like herself so signed up. With an exuberant “yes”! She lives on Bainbridge Island, WA with her 12 year old boy and 10 year old girl where she loves working from home. She gets to make my own hours and still make time to help at her kids’ school or take care of them if they get sick. What did life look like before you enrolled in Mama Bliss Coaching School? I was a stay-at-home mom beginning to embark on a new career in coaching. My marriage ended abruptly at this time too. I was beginning a new phase of life in all arenas. My previous coaching training and my work with Kathy gave me all the tools I needed to move through these monumental shifts with grace. So much! I navigated a collaborative divorce with grace, set up a new home with my kids, and supported our emotional healing through this challenging transition. I’ve been steadily growing my coaching practice, finished a yoga teacher training, began a part-time job in the health and wellness field, and have given many workshops and classes. >My favorite was teaching two classes during an Elizabeth Gilbert event at a retreat center near home. I often work with women during a time of transition. Or women who are desiring change. One client wanted out of her fashion industry job in NYC. She wanted a simpler, healthier lifestyle, and to live on the west coast again. Her reality didn’t fit her new vision for herself. We worked together for four sessions, using the simple yet profound tools from Mama Bliss Coaching. Each week she took a small step closer to her dream. She left her job and began working as a barista (while in transition). A year later she is living in Berkeley, CA, studying nutrition, and training to become a chef. She is living a life she loves now. She credits the visioning work, the sacred space, and the small steps she took while working with me. My passion is connecting women with supportive self-care practices and the creative wisdom that lies within each of us. My personal coaching with Kathy and the Mama Bliss Coaching tools supported my personal journey with both. One of the tools I use the most is choosing which values will support, guide, and inspire me each season. I offer seasonal mandala workshops where we tap into how we want to feel. Taking action with integrity—aligning heart and head—to live a life of meaning and magic. The beauty of working for myself is that each day can be a bit different. Each season is unique as well. My kids are home for summer. I begin my days 2 hours before they wake to do writing work. I take clients intermittently throughout the day. I find a way to include movement, a sit down lunch (even if it’s just 20 minutes), and time in my garden and with my kids throughout the day. This summer I’ve added one dedicated “office” day. I’m renting an office space in an integrated medical building. I’m enjoying this separation from home where I concentrate fully on clients and business development. I’m also enjoying being part of a community of practitioners serving women. I’m offering a summer coaching package right now called Tend Your Inner Garden. As moms we have so many people and things we’re tending in the summer. Visitors, vacations, kids’ activities, gardens and household projects. We drop the thread of our own self-care and creativity in the midst of all the summer activity. I’ve done it so often myself and then I’m disappointed when Fall begins and I have to find my way back to myself—to my creative work, my self-care practices, my Soul. This coaching program is about holding onto the thread, and making space to attend to what lies in our hearts, so we can transition into Fall with more ease and less overwhelm. I work with women craving that deeper connection within. They want to carve out sacred space no matter what the external circumstances in their lives are. It is an honor to be witness to their journey, to listen, and to help them shed the things that block their authentic expression so they can live the life they desire. Learn more how you can work with Jenn and all her gorgeous offerings, including the Tend Your Inner Garden summer coaching opportunity, over at her site, jenngallucci.com. Jessica participated in our Spring 2017 session because, as she puts it, “I wanted to be a coach and my intuition lead me there”! At the time, Jessica was a stay at home mom from Birmingham, AL. with her kids aged 8, 5, and 2. She loves being able to work with her toddler in my lap. In fact, her little cutie pie is present for a lot of her videos which Jessica feels helps her seem relatable. I started my own coaching business! I have an amazing client who was going through some postpartum depression but struggling to identify it as such. We chatted and I suggested she discuss it with a doctor in addition to our coaching sessions. She’s in a MUCH better place now and thriving as a mom! She told me she felt like I was her doula for emotional health! They never look the same. I have three kids, and it’s summer, so everyone is currently at home. My days look like lots of entertaining and squeezing in work when I can. Honestly, I’ve pulled back on my business for the summer so that I can be present with my kids, and I love that I can do that. I work with moms and their emotional health but I also teach mamas about moon rituals, crystals, essential oils, and more! Check out Jessica’s site to learn how you too can dive into her beautiful grove that is The Mothering Tree here. Cluck, cluck, cluuuuuuck. What a proud mama hen I am. Of course it’s not all my doing – it’s totally on them and their decision to go for it and deliver on their hard work and gifts they offer to the Mama Coaching table. If you think you might be interested in me sitting on your coaching bliss eggs for a few months before you hatch and fly the nest too please do make sure you check out how my 12 week private coaching training works and then sign up for a discovery call with me to see if we are a fit. Until then, be sure to visit these mamas, dive into their worlds, reach out to the to connect if you feel they might be the perfect coach for you in this moment of your life, and I hope to be able to shine the spotlight on you one day too!